One ping pong ball, suspended by a nylon filament acts as a pendulum. 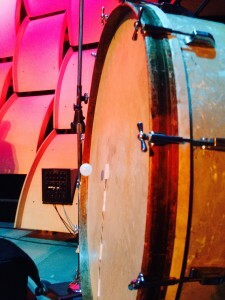 The ball is resting touching the drumhead of an acoustic bass drum that has a subwoofer projecting sound at it. 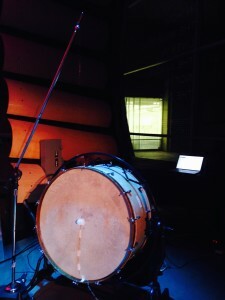 When a low frequency is blasted through the subwoofer, the drumhead vibrates to that frequency and then hits the ping pong ball thus creating a pendulum. 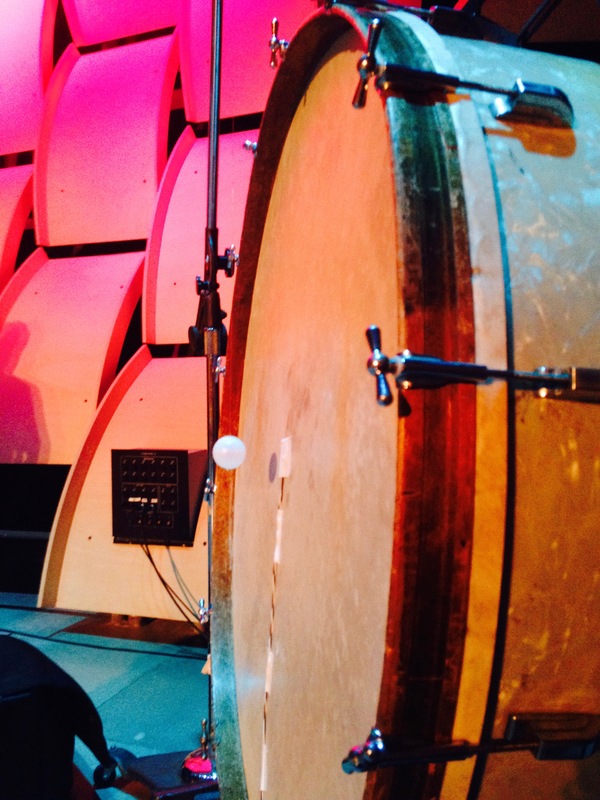 The ball hits a contact mic tapped on the drumhead which is the sensor for re-triggering a low frequency that moves the pendulum once again. All is running in a raspberry Pi microcomputer. Painting canvas/collision video game. Using an Xbox Kinect camera with open source software Processing, I created an interactive audio/visual painting and gaming experience. The camera detects the user, if the user is close it maps a “monster” to its limbs and enables painting with each hand. If the user is far it maps two circles to the user hands which must avoid collision with moving objects in the screen. The position of the hands is also assigned to a frequency modulated synthesizer that create the live soundtrack for the experience.